The SEA hosts and sponsors annual conferences. In odd-numbered years, the Society hosts an open-topic general conference known as the Biennial Conference. In even-numbered years, it sponsors Special Topics conferences and workshops. The SEA also sponsors panels at our affiliated societies: the American Literature Association & the American Society for Eighteenth-Century Studies. 1999 – The Society of Early Americanists held its first conference in Charleston, South Carolina, March 4-7, 1999. Program. 2001 – The second Society of Early Americanists Biennial Conference was held in Norfolk, Virginia, March 8-10, 2001. Information. Program. David Shields’s Presidential Address. 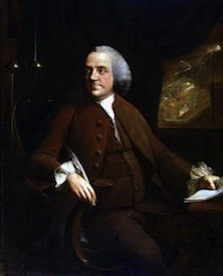 2007 – The fifth Society of Early Americanists Biennial Conference was held in Williamsburg, Virginia, June 7-10, 2007, jointly with the Thirteenth Annual Omohundro Institute of Early American History and Culture conference. Program. Dennis Moore’s Presidential Address; OIEAHC’s Director Comments. 2011 – The seventh Society of Early Americanists Biennial Conference was held in Philadelphia, March 3-5, 2011. Program. 2013 – The eighth Society of Early Americanists Biennial Conference was held in Savannah, Georgia, February 28 – March 2, 2013. Program. 2017 – The tenth Society of Early Americanists Biennial Conference was was held in Tulsa, Oklahoma, March 2-4, 2017. Conference website.